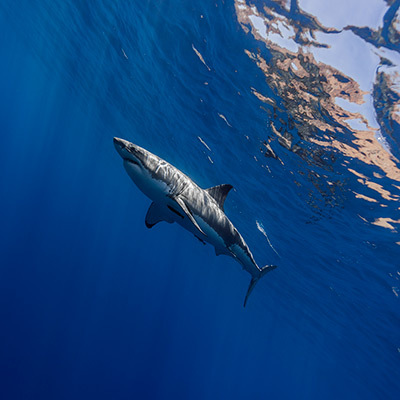 It’s not uncommon to see great white sharks (Carcharodon carcharias) covered in lacerations, bite marks, and scars. 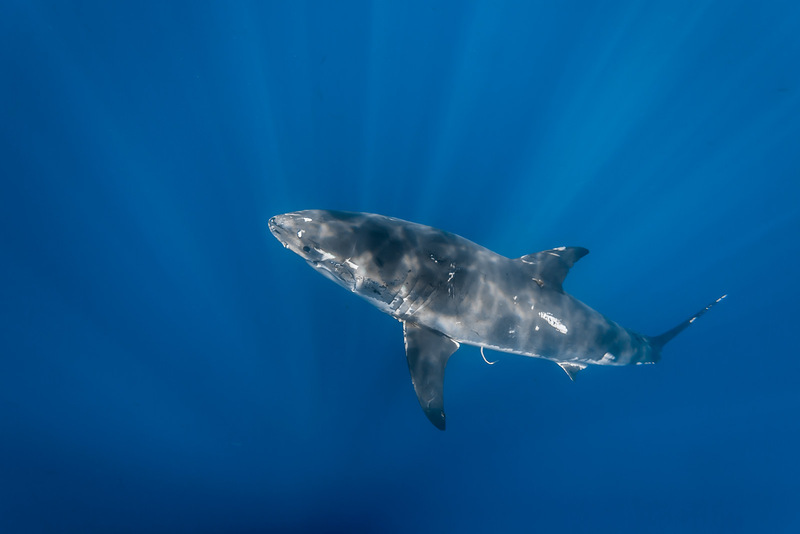 Many of the scars are inflicted by other white shark either during mating or as a result of “competitive biting.” White sharks are also susceptible to injuries from prey items such as bites and clawing from sea lions and seals. 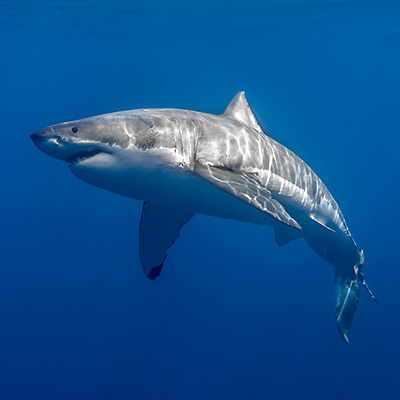 In addition to natural injuries, man-made threats such as boat propellers, fishing gear, and trash items have also been known to damage to white sharks.